All without having to switch payroll software! Allow employees access to their pay stubs, tax forms and pay history online, in a secure, organized & central location. Stop spending hours printing, folding, and stuffing pay stubs into envelopes. 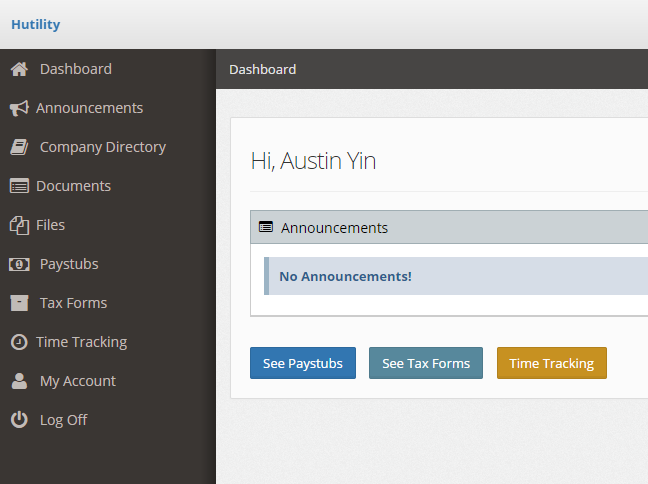 No more manually emailing employees their pay stubs. 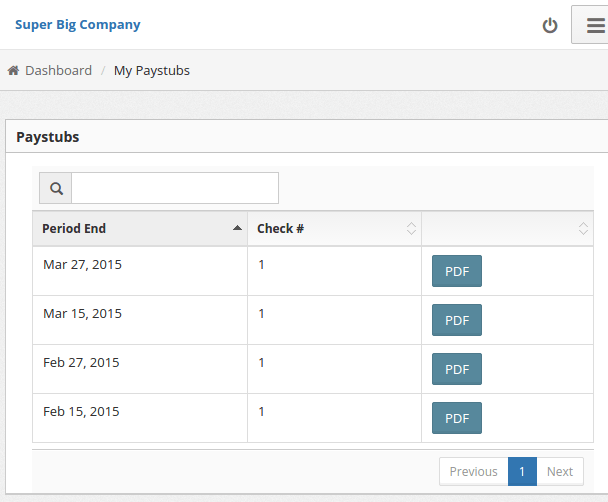 Recover time spent delivering pay stubs every pay period, and save money while reducing your paper usage. Provide a central place for employees to retrieve company documents online. Employee manuals, waivers, request forms, policies and procedures, etc. — a repository of all your commonly used files. Access Control — Permissions can be set on each file, so they're only accessible to specified departments. Provide a listing of your employees, to make it easy for colleagues to find one another. 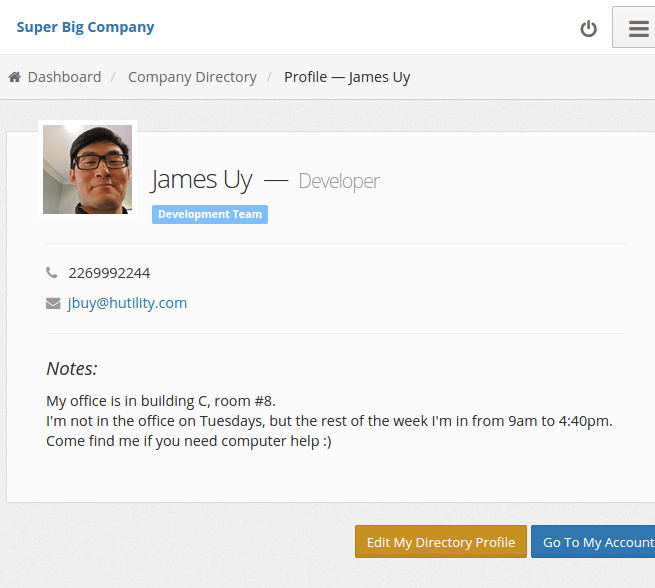 Employees profiles can show their email address, phone number, office and other additional notes. Searches can be done by name, department or title/position. Make it easy to broadcast company-wide announcements. A central location, so no more messages get lost in the shuffle, ensuring all employees are up to date and on the same page. Read receipts and department specific announcements help you make sure the right people get the right messages. No more paper time sheets too! InStaff's customizable time tracking allows you to show/hide the fields you need employees to fill in, and have multiple time levels (Regular, OT, etc.). With varying levels of time tracking users such as team leaders, project managers and payroll — you can create the approval workflow that works for your business. 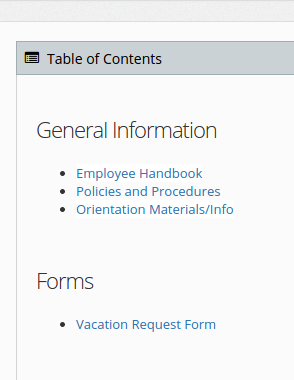 Allow employees to submit time-off & vacation requests online. 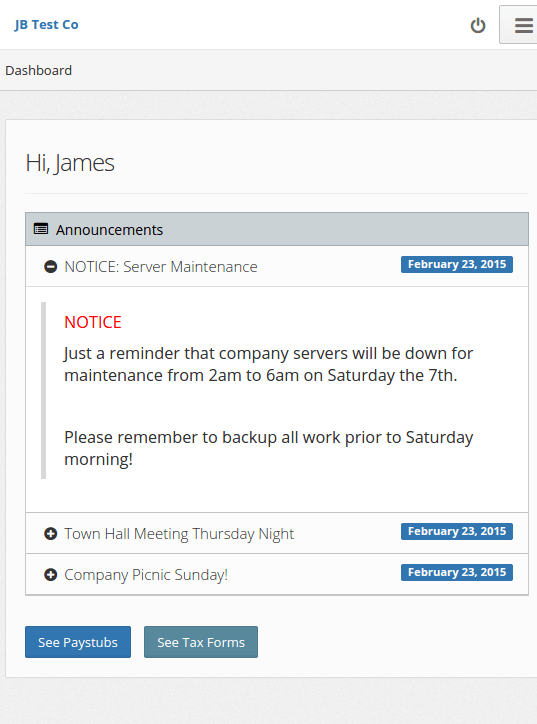 Managers can approve or reject time-off requests, and employees can easily view the status of their requests. Once time-off requests are approved or rejected, employees are automatically sent an email notification. 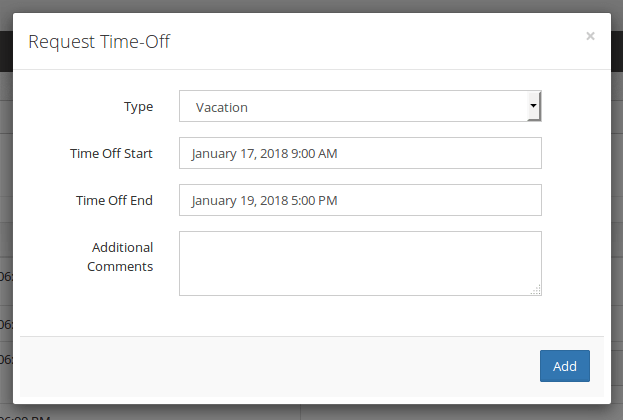 Highly customizable — You can easily create various time-off "types" that employees can requests (ie. Personal, Sick Leave, Vacation, etc.). Calendar View — Admins have a calendar view, to see at a glance, who is off on which days. Give employees a private file store, where you can upload files that only they can see. 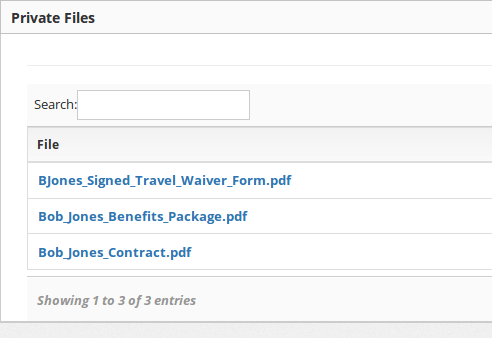 Now you can have an organized place for signed employee contracts, agreements, performance reviews & other personal files. InStaff is modular, meaning you can pick and choose to include the features you need — & save on what you don't. InStaff can be outfitted with any of these features to turn your pay stub delivery platform into a complete employee portal and HRMS solution. Have a need for a feature InStaff doesn't currently provide? Just ask! InStaff integrates with various Payroll and ERP systems. We offer standard integrations, as well as custom integrations to fit whatever you might need! Check out our integrations page to see what's available.